1. All of my friends are against it, infect They tried to stop me, tried to discourage me. History says when someone created history.. all people are against it so same case with me also here. 3. I am driving with Gujarat passing so during driving, its risk if some traffic cop would stop me and ask for NOC document which is I don’t have. It's around 430 Km from Pune to Surat and Road goes from Pune, Lonawala, Khandala, Panvel, Mumbai Bypass, Vapi, Valsad, Navsari and Surat. Road conditions are quite good now but still I don't know why people think that Driving on highway is risky and not my dad only, my uncle also scolded me lot after they came to know about my adventure. I started on new year day at 8:05 AM from Pune, filled petrol tank with 8 liter petrol and started journey.... Its winter time so weather was pleasant. 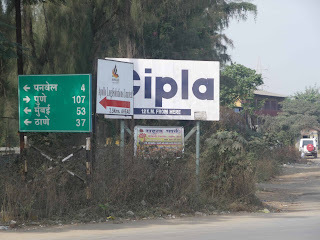 Passed Lonawala at 9:05 am and reached Khandala at 9:15 am and took my first break of 10 minutes. 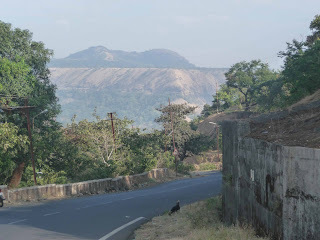 View was awesome from Khandala ghat….. 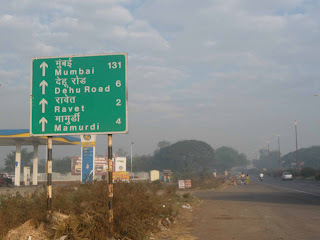 Started again at 9:25 and reached Panvel at 10:30…. 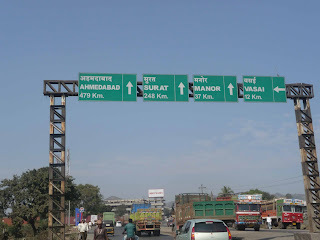 Now actual headache started for bypass Mumbai….. n it took 2 hours to reach me at western highway.. asked few people.. started on Panvel bypass, go to airoli (don't go to thane n turn left for airoli from Panvel bypass), go to ghodbanadar road n at the end of ghodbandar road, reached at western highway at 12:30, after saw below hoarding, I felt relief. 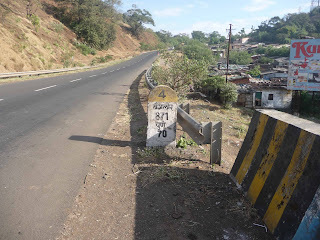 only 150 km in 4 and half hour… very slow.. reasons were Hilly road between Pune and Mumbai and then Mumbai bypass took so much time… but after reached on western highway, it took 5 hours for 280 Km including 30 mins lunch break. I took lunch break at 1:30 for the sake of my bike otherwise I was roaring to go continuously but then I had to consider my 8 year old bike's capacity also. Engine should not be much hot due to constant driving…. 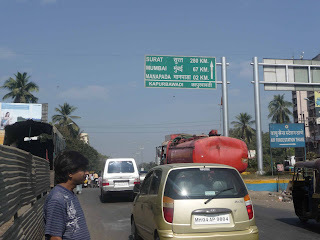 At 2, I started driving again and then it was continuous driving for next 3 and half hours up to surat with 2-3 minutes break at every one hour…. 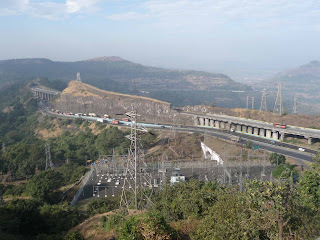 Its experience of life and I thoroughly enjoyed driving on highway, it was more enjoyable then driving crowded city roads… driving in lonawala-khandala was awesome..
After reaching home, my bums were as flat as Indian railways second class seats. I sat on sofa for continuously 4 hours from 6 to 10 and felt so much relief and relax.. till that time I never enjoyed so much of sitting on sofa, So it's like to experience of heaven, u should experience hell first.. :) rite guys…. And now I m proud of my 8 year old bike toooooo :) …. 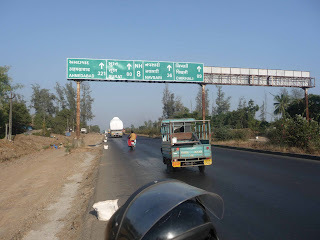 recently i had been to Goa on bike (~1200KM).